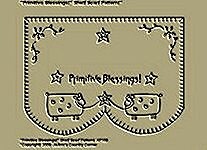 #A248 Primitive Stitchery Pattern, "Primitive Blessings! Shelf Scarf Pattern! 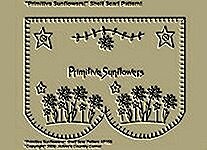 #A249 Primitive Stitchery Pattern, " Primitive Sunflowers!" Shelf Scarf Pattern! 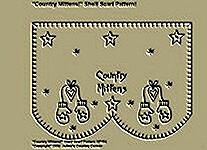 Primitive Stitchery Pattern �Primitive Sunflowers!� Shelf Scarf Pattern!� This Shelf Scarf Pattern can be used to decorate shelves, for Candle Mats, or Bread Clothes to line Baskets. For larger shelves you can place more than one Shelf Scarf side by side each other. Measures 5 �� x 7 7/8�. 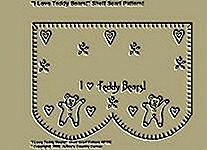 #A250 Primitive Stitchery Pattern, " I Love Teddy Bears!" 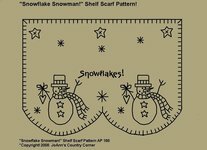 Shelf Scarf Pattern!" 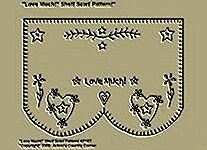 Primitive Stitchery Pattern �I love Teddy Bears!� Shelf Scarf Pattern!� The word Love is replace by the heart symbol. 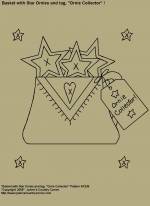 Great shelf scarf for a teddy bear collector or child�s room! 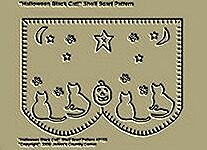 �This Shelf Scarf Pattern can be used to decorate shelves, for Candle Mats, or Bread Clothes to line Baskets. For larger shelves you can place more than one Shelf Scarf side by side each other. Measures 5 �� x 7 7/8�. 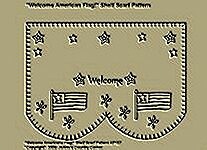 #A252 Primitive Stitchery Pattern, "Welcome American Flag!" Shelf Scarf Pattern! 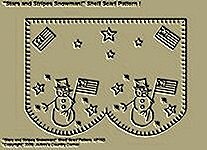 Primitive Stitchery Pattern �Welcome American Flag!� Shelf Scarf Pattern!� This Shelf Scarf Pattern can be used to decorate shelves, for Candle Mats, or Bread Clothes to line Baskets. For larger shelves you can place more than one Shelf Scarf side by side each other. Measures 5 �� x 7 7/8�.